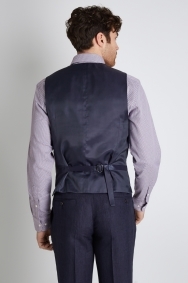 With a spacious fit through the shoulders and chest and a defined waist, this waistcoat will add a smart edge to any outfit. 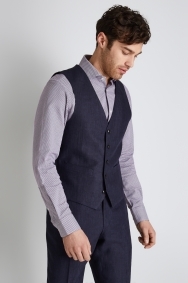 You’ll also feel cool thanks to the 100% linen material. Team it with a textured blue shirt and black monk shoes for a sharp, on-trend look that’s great for off-duty occasions.